Nitrogen is one of the first Bitcoin casinos with an established track record as a great place to bet from anywhere in the world. This Costa Rican regulated casino was established in 2013 and offers one of the biggest Bitcoin casino and sportsbooks out there and probably one of the most trusted. Further to this Nitrogen has become known to offer some of the most generous odds in the industry which keeps gamblers coming back for more big wins. The creators of Nitrogen have developed an interactive site that communicates with its visitors offering promotions and encouragement toward big wins while players are enjoying the massive range of Bitcoin sports betting as well as a sleek line of casino games. Security and support are of the utmost importance to Nitrogen which allows players to play with peace of mind that both their identity and wallet are secure at all times. Nitrogen certainly stands head and shoulders above the rest of the Bitcoin market for sports betting. 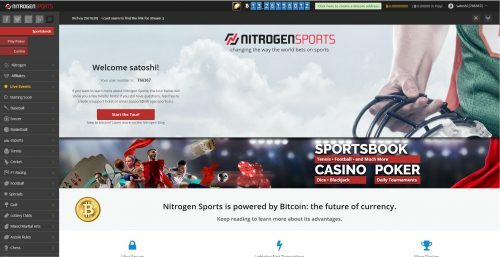 Nitrogen features a massive sports betting offering, surpassed by no other Bitcoin casino currently. There are a whopping twenty-plus categories to bet on including baseball, soccer, basketball, esports, boxing, martial arts, tennis, chess and plenty more. As if a fully-featured sportsbook wasn’t enough, Nitrogen Sports has a great poker game too. One thing that’s great about Nitrogen Sports’ poker is the fact that it only takes 1 confirmation for them to credit your Bitcoin. Some websites fear the risk of double-spending, leading them to require several confirmations before crediting a deposit. Nitrogen, however, has both speed and security by offering users the ability to deposit with just 1 confirmation, which is rarely found elsewhere in the gambling community. The casino’s poker game features 3 categories: Cash Games, Sit & Go’s and Tournaments. If you ever run out of money, you’re given 1 “Play money” per hour if your balance is under 0.99, so you’ll be ready to have fun no matter what! Poker on Nitrogen features “Pro Table Mode” where you are able to play multiple tables at once, using multiple resizable tabs! You can try to do this to earn as much as you can and it’s just another feature rarely found anywhere else in the Bitcoin poker community. 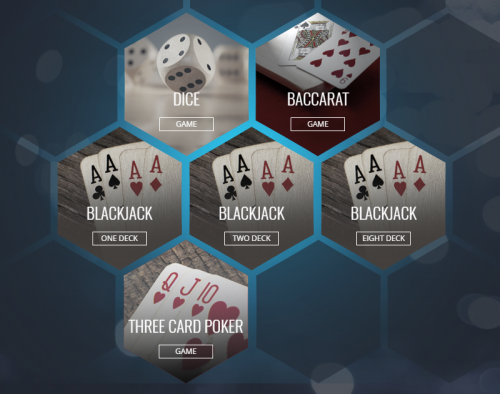 The casino also features a fantastic HTML5 provably fair casino, with dice games and Blackjack. The provably fair implementation is flawless and verified to be mathematically secure. The blackjack comes with three choices: one deck, two decks, and eight decks. Our only qualm with this otherwise great blackjack game is that the blackjack payout is only 6:5; rather low compared to the standard 3:2 payout you could find at land casinos. This means that the house edge is higher than what most blackjack players would expect. There’s a unique feature on dice as well — the jackpot. 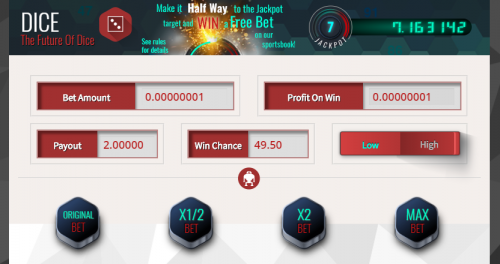 By betting at least 0.001 BTC and having a profit of at least 0.001 BTC, you’ll be able to activate the jackpot. The jackpot is hit by rolling a number with 7 in it 12 times, which is of course quite difficult yet not impossible. At the time of writing, the jackpot stands at over 6 BTC! Nitrogen also provides you with a dice bot to automatically roll for you, using a standard martingale strategy. Nitrogen Sports does not offer traditional bonuses but runs monthly promotions such as Parlay Promotion and NFL Survival pools. If you ever have any problems with the casino, like failed deposits or something similar, simply contact them by clicking “Help” at the bottom and you’ll be able to submit a ticket. Their support seems to be up nearly 24/7, so your tickets will likely be answered in a few hours, if not less. The website is also mobile-compatible, with little or no settings cut out. It’s basically the full page squeezed into a phone screen and it works on both Apple and Android devices. The website also uses 2-Factor Authentication and also requires email confirmation as well. Nitrogen Sports features many games to play, including dice, a sportsbook and poker, as well as blackjack. Deposits are quick and easy with only 1 confirmation needed and the games are all provably fair. The website is mobile-friendly, so you’re able to take your gaming on the go. Each of the major sports feature a wide variety of market, however those looking to bet on more niche games like darts will have to settle for simple match/tournament winner bets. 2FA and email confirmation are available for account security, so you’ll never have trouble with 3rd party hackers. Overall, this is a great Bitcoin sportsbook and casino to bet at! Nitrogen Sports does not currently offer any Bitcoin bonuses to its players!